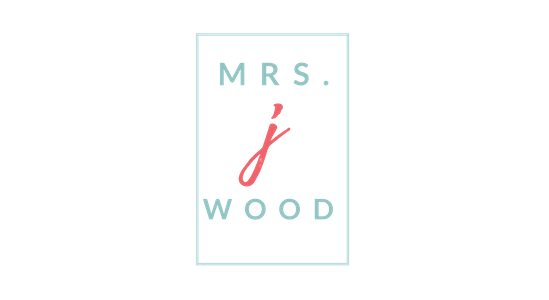 Jeanette Wood is also known as Mrs. Joseph Wood. My name is Jeanette. I often go by Mrs. Joseph Wood. If you haven’t heard the story behind my signature, I invite you to take a few moments and read all about my curious signature here. For now, I assume you’ve purposefully arrived at this page hoping to get to know me more. You’re invited to pull up a chair, grab your favorite coffee, (don’t forget some chocolate) and let’s chat. So, who is Mrs. Joseph Wood? Well, I’m a busy wife, mom, and business owner who loves the Lord passionately. I bet I’m not much different than you. Believe me when I say that I know what it’s like to juggle my personal, professional, and spiritual growth while pouring myself into my family. I don’t have the time or energy to present a mirage of a Pinterest perfect life. Instead, I prefer to create relationships online and offline with transparency. It’s out of my love for the Lord and others that I offer practical teaching and rich storytelling, with a full measure of grace. Encouraging readers to persevere through trials, celebrate everyday moments, and finish well. Caramel macchiatos, with an extra shot of espresso, are the best! I’m a dark chocolate lover. Milk chocolate is useless. We’ve lived off the grid, in a tent (with five children at the time) washed my clothes in a creek, & cooked over the campfire. A room isn’t clean unless I’ve organized the cabinets and drawers too. I am not an “artsy” person, but I love the work of others. Singing is not my talent- I sing my heart out anyway! I love inviting family, friends, and strangers to my table for a meal and conversation. There’s nothing like a good homemade donut. Gardening is where I rejuvenate; actually, I just love to play in the dirt!. Okay, now for all those other details about me. I am a certified speaker, trainer, and coach for the John Maxwell Team. Working as the health and wellness speaker for Azure Standard I traveled the United States sharing my love for food, family, and community. I am also a certified DISC behavioral analyst, using my skills and talents to help women in their roles at home, church, and within their community. On this site, I often share the gems I’ve learned throughout my 27 years as a wife and homeschooling mother of eleven children and grandmother to four. I’m the wife to my best friend who I fondly refer to as, “My Dear Joe.” Our story wasn’t always sweet. You can learn more in my e-book, Intimacy in Christian Marriage. I praise God for his redemptive power! Together, we have eleven children: six we’ve given birth to physically and five that were born from our hearts through adoption. I spend my time teaching my Kindergarten through high school age children at home. My parents moved in with us about two years ago. Each morning, I wake to experience the blessings of three generations in one household. The house is bustling on Sunday’s when we open our table to family, friends, and strangers in our church and community. Momma is always right there in the kitchen helping to make a tasty meal. Going through college, I worked three jobs (one was a donut maker!) After college, I worked in Labor and Delivery, Pediatrics ER, and Med Surg. For many years, I taught parenting and childbirth classes for our local hospitals. I enjoyed volunteering my time to prepare the deaf community with parenting and childbirth classes as well. In my 20’s I first identified my passion for helping families. My attention was devoted to mentoring and equipping women who were at risk of losing their children. Today, I volunteer on the advisory board a local Children’s Hospital and offer feedback as a mom of a child with complex medical needs. As women, we live multifaceted lives, don’t we? We are women, wives, mothers, daughters, sisters, and aunts. We are business leaders and community volunteers. If you’re like me, you pour all your energy and efforts into those you love and can easily find yourself exhausted. Over the last 30 years, I have learned about living intentionally and joyfully in the midst of life’s surprises. I’ve walked through the valleys, and I can testify. God is Faithful! My oldest daughter, Bekah, is my right hand. Bekah is incredibly talented. She serves sacrificially through this site, at events, and in the office! My other daughter, Beth Joy, has influenced me in the details of this site and how I speak and write. Beth is an encourager. We tease that when I need happy news, I call her! Both of my daughters have grown to be my closest friends. Then there is my sweet momma, Connie Renfro, who inspires me, edits for me and guides me. Together, we simplified the site in a way we felt was easy to navigate. You’ll notice that I have divided the posts into three categories, Faith, Family, and Food. You can sign up to only get blog posts on the topics that are important to you. Friends, it looks like I’ve run out of chocolate so I’ll wrap this up. I’ve shared about me; now it’s your turn. Bookmark the site, visit often, and don’t forget to comment on posts or email us. We don’t use autoresponders so you’ll get a real-life person (Bekah or Me!) when you write. Don’t you love it when you get to talk to real people? I know I do. I can already tell, this is the start of a beautiful friendship. I’m sure glad you’re here.